Mmmmm Slimmed Down Super Power. It feels like Christmas here in the Pushsquare office (namely because it's Sammy's birthday - Ed) as we've just picked up, unwrapped and setup our shiny new PS3 Slim. Our humble city saw three PS3 Slim sales this morning, so hopefully that bodes well for the rest of Europe and the UK where the PS3 Slim has launched today! 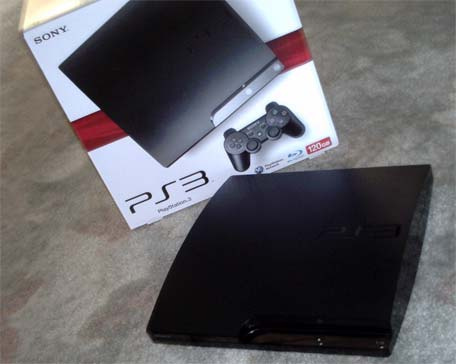 The best way to describe the system is the "cute" version of the PS3 Phat. It's thin and very pretty in the flesh. It also has some swanky light up buttons. Ignore your initial impressions, the PS3 Slim is a rather wonderful looking console in the flesh. We'll have a full review next week.